Pietralata, in Rome, is a neighbourhood on the city’s east side. With more than 32,000 inhabitants, it can be compared to the size of a small city. Here you will find US Roma Rugby 1947, a rugby club born out of a long-standing tradition and the legacy of CUS Roma Rugby, which ceased operations in 2016. Today this sports club has teams ranging from under 6 to seniors, including touch rugby, a special version of the sport appropriate for all ages in which physical contact is kept to a minimum without spoiling the fun and passion of a sport that aims to bring everyone together. Official sponsorship of the team by Vuetel is based on these fundamental values: the positive imprint of a business that looked beyond the borders of Italy but never let go of its attachment to its roots. Italy is a country with a long-standing passion for sports and it is precisely in the sport of rugby that Vuetel, in the person of its founder, Giovanni Ottati, saw perfect potential. The world of business and that of sports are not that dissimilar. Both share fundamental values, such as determination, sacrifice and courage without neglecting respect for the opponents. A team like US Roma Rugby 1947 therefore has all the necessary ingredients to be perfectly represented by Vuetel. Located in peripheral suburban landscape, the club aims to stimulate the interest of young people, children and families. US Roma Rugby 1947 or “US” presents itself as an alternative to football, the sport that has the broadest national appeal, and “fields” a purer and more cohesive aspect of the sports world. Fighting for a goal, being together, being on the pitch and involving the families of small children who are trying their hand at this fantastic sport. For all these reasons, US is precisely what Vuetel means by social development and a close and permanent bond with home. 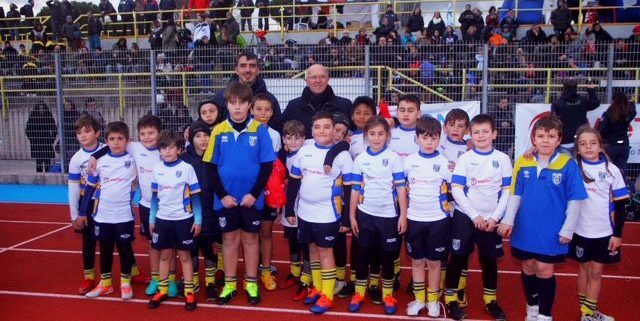 There are many initiatives in which Vuetel is participating as a main sponsor and one of them was seen in action on 8 December in the Fulvio Bernardini playing field in Pietralata. This was the venue for a massive rugby tournament where 48 teams of small players aged 4 to 12 were able let loose on the pitch and unleash a bit of rugby passion. Present at the award ceremonies of the yellow-blue tournament was none other than Giovanni Ottati, Chairman and founder of Vuetel, and a big supporter of every US initiative. Vuetel’s commitment is now and has always been one of translating the objective of pursuing a common interest into a hands-on experience. Because reciprocity is an approach that works everywhere. 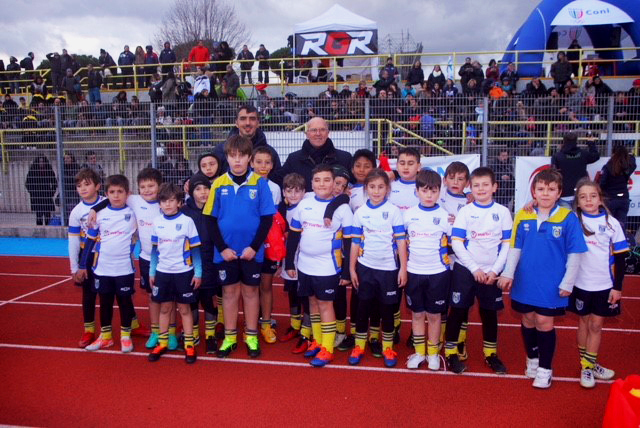 “Invictus”, minirugby party in Rome with over 650 children What are the applications of artificial intelligence?